So here's a feature that I've been planning since about October of last year but haven't been able to get around to it until right this very second. After a year of ALL OF STAR TREK, I sorta noticed a few things. Like, wow there are a lot of tropes that Trek really loves. It makes sense. There are only a certain number of stories you can tell about a group of 5-9 unflinching optimists on the edge of space in forty five minutes before you start to repeat. It happens.You get 726 episodes of a thing and eventually you gotta hit up some old material. And, that's ok. The reason these ideas recur is that they're generally good ones. Now, about this post series: Remember back in the days of TNG, when you made mixtapes (or mixed tapes-- I asked google about this but she wouldn't give me a straight answer) for the current love of your life/current BFF? I say you because I never did this. For some reason I've always kept my music preferences to myself. I refuse to let anyone else in on my Pandora habits, let alone give them a handmade tape with all my fav songs. 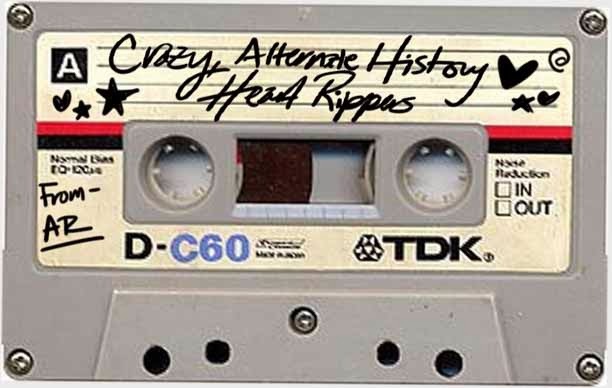 But, I've chosen to share my love of Trek with the world so, instead of a collection of tunes, here's the first entry in a series of Star Trek MixTapes: Crazy Alternate History Heart Rippers. Star Trek first started their foray in Crazy Alternate History Heart Rippers way back in The Original Series. From here on out, every time a character got flung through spacetime and we all ended up crying into our cereal bowls, we thought about that first, gut punching episode--City On The Edge Of Forever. It set the standard and Trek ran with this idea. Seriously. Every single series had one of these. 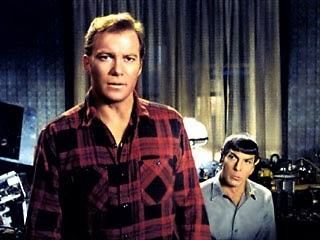 Kirk and Spock chase Tripping-Balls-Bones through a talking gateway and into 1930's Earth. Kirk (and me and you and everyone we know) falls in love with Edith Keeler but, as Spock tells us at the end of the first act: Edith Keeler Must Die. What follows is an exercise in the utterly devastating nature temporal causality. 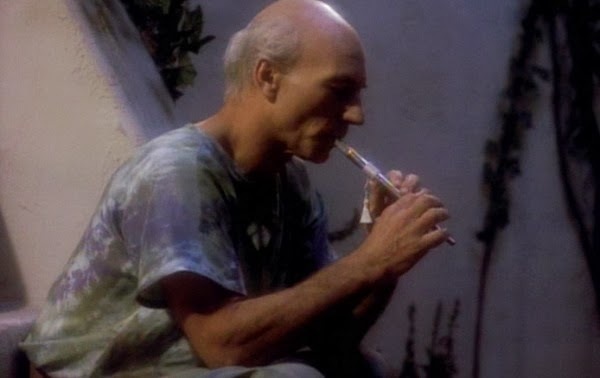 A weirdo probe shows up and flashes a light at Picard who promptly passes out and wakes up on a strange planet where everyone calls him Kamin. He's married and his planet has some issues. He plays a flute and somehow even typing that makes me taste tears in my throat. Jake watches his dad die in an explosion only to return periodically--haunting/parenting Jake throughout his entire life. The father/son-ness of this one is so sincere and honestly-played that I just want to wander off into the kitchen and not come back until I've emotional binge eaten an entire box of cinnamon toast crunch. This one starts out with just about the happiest thing ever: Tom and B'Elanna's wedding. It takes a fast, hard turn into the most depressing part of the Delta Quadrant. As I watch my beloved crew try to do what any good, Starfleet ship would do, I find myself falling apart at approximately the same rate as Janeway and Paris. Archer saves T'Pol from a spatial anomaly and, as a consequence, loses his longterm memory, his command, and his entire planet. T'Pol refuses to leave his side and their resultant relationship is one of the sweetest, most beautiful things in this series. So there ya go. Five episodes from me to you. These all take place in a pocket of space/time that sort of doesn't really exist and everything goes back to the way it was before--except our hearts. Those are ripped out and chucked through a dilithium powered engine going warp nine and the pieces are scattered throughout the stars. I like your episodes mixtape idea! The melody Picard plays on "The Inner Light" and several themes from DS9 "The Visitor" were chosen for the CD, Best of Star Trek Original TV Soundtracks. The duet with Picard and Nella Darren in "Lessons" is one of my favorite musical moments in Trek. Fantastic idea for a series, AshleyRose. 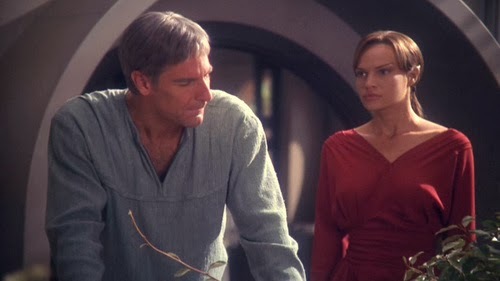 One of the best things for me during Our Year of Star Trek (that's what I'm calling it now ;) was being able to watch you make connections and find common themes from episode to episode, series to series. It's something I had not thought about much before this past year, and something I can't get enough of now! I This is a great first entry, with touching episodes from each series. I can't wait to see what's on tap for future mix tapes. That's such a fun idea! I love this new feature you're doing, and I'm so glad you finally had time to start it! I've noticed some themes and repeated tropes and such throughout my forays into Star Trek as well. 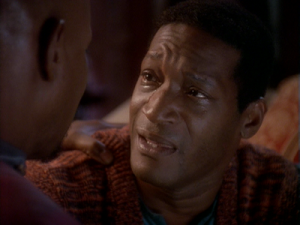 You are SO RIGHT about that episode of DS9. I watched it not too long ago and it just about broke my heart! Up until that point, I wasn't actually very fond of the Siskos, but by the end of the episode I was in tears.